← Wrap-Up of National Green Week 2013! Calling all schools and youth groups nationwide! It’s that time of year again – GEF and Gardener’s Supply Company are offering a $1,000 dollar grant to an existing gardening program through the Green Thumb Challenge. This award is designed to support a youth garden program that has demonstrated success, encouraged education and provided a chance for children to connect with their community. The application deadline is September 30, so there’s plenty of time to submit your own project! Last year, we received over 200 amazing applications from across the country that demonstrate just how impactful gardening can be on the lives of students and their communities. Green Chimneys was the winner of the 2012 Green Thumb Challenge grant and used the funds to complete ongoing maintenance projects necessary to sustain the school’s garden and garden infrastructure. The gardening program at Green Chimneys has played an important part in the lives of their students since its’ founding in 1947 as it is integrated into the curriculum of their science, math and language arts classes. Gardening classes are also taught year-round by a certified horticultural therapist. During the Spring, Summer and Fall months, classes are held in one of their organic gardens, where planting maintenance and harvesting of crops is taught. In the Winter, students learn about the scientific side of horticulture, such as plant anatomy and seed propagation in the greenhouse. Last year, students raised over 7,500 pounds of produce that was used in the school’s dining hall, the life skills and nutrition classes, their farm stand, as well as their Green Cuisine Culinary Arts Program. Read more about the winning project and the 5 runners-up on GEF’s website. Plus, check out our Facebook album that showcases pictures from a large selection of applicants. If you applied, and you see your photos, be sure to tag yourself and the school! Submit entries to our email (service@greeneducationfoundation.org) or mail to the GEF office (153 Washington Street, 4th Floor Walpole, MA 02032) by September 30. Gardens are a great way to bring sustainability and education to your institution! 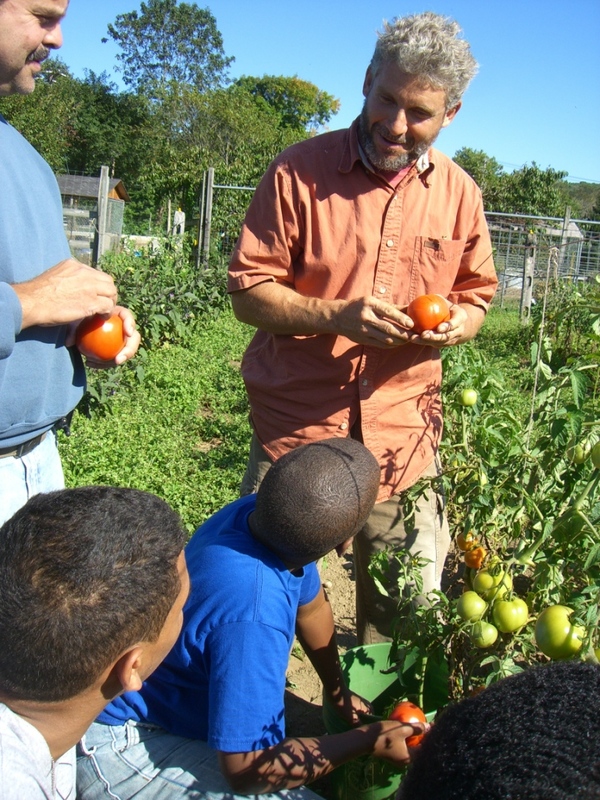 By growing a garden you engage in community, learn through hands on activity, produce nutritious food, and much more! Enter your garden for the chance to win a $1,000 grant today! This entry was posted in education, gardening, Green Thumb Challenge and tagged Green Thumb Challenge Grant. Bookmark the permalink. 1 Response to Announcing the Return of the Green Thumb Challenge Grant! Great post, really getting into reading your posts, greatly worded with some real facts.